Instagram has completely changed the way you take pictures. With the squared off display, it alters how you crop a photograph. In many ways, the visual display of Instagram is not natural. You have two eyes. You have stereo vision. Due to this, you naturally see life in a wider format. It’s why your television and laptop are wider vertically. Because you can take in the entire screen without your eyes scanning back and forth. Instagram causes you to see in more of a mono visual display. It also brings you intimately closer to your pictures. When looking at photographs on Instagram, everything feels closer because everything is closer. It has to be. Instagram has also changed the world of social media. 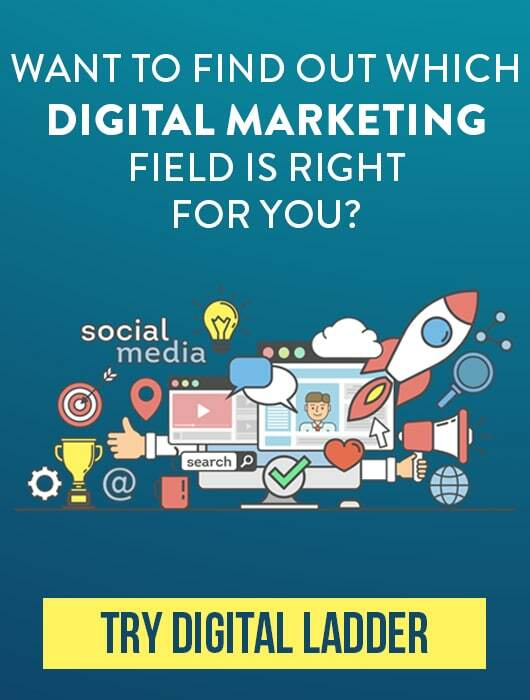 Those with hundreds of thousands of followers are seen as “influencers.” This allows the power user to market products for the company. Whatever you use Instagram for, if you’re looking to become a power user, or you just want to take the best Instagram pictures possible, you need a proper camera to do it. For the right Instagram camera though you don’t need a giant DSLR. Most of the filters built into Instagram or available through third-party apps already deteriorate the visual quality of the picture anyway. Instead, there are a handful of other features you need to consider when picking the best camera for Instagram. You’re going to want to take pictures at night. How does your camera handle it? In order to take a picture in low light, your camera lens needs to open wider. It also needs to remain open longer. This is why your night pictures are more likely to appear blurred. Because you moved your camera while the lens was still open. In the camera world, this is controlled by the ISO. It’s able to take in more light in less time. Back in the day of film cameras, this represented the kind of film. An ISO 100 film would take great quality photographs, but it would need more light. An 800 ISO would perform exceptionally well in low lights but could produce some grain. If you were to super zoom in you might see a grainy picture. But, again, that’s the beauty of Instagram. Megapixels no longer really matter in this world. This ties in directly with ISO. Finding the best Instagram camera really is about determining which camera delivers the best lighting quality. Shutter speed is how quickly the camera lens can shut while letting in more light. This helps keep the picture looking crisper, without distortion or blurriness or pixelation. It’s possible to dive in deep regarding shutter speeds and ISOs and the manual function of a camera. These are not features you generally need to worry about with an Instagram picture. The camera will auto adjust to your surroundings (although you can go into the control and adjust it on your own, should you choose). Much like shutter speed and ISO, aperture determines the amount of light entering a camera. Picture taking is all about controlling light and letting in the amount of desired light. Modern, digital cameras use sensors to capture the image, whereas film cameras used light-sensitive film. The aperture adjustment will give you two major benefits. First is you can increase or decrease the amount of light entering. Second, you can alter the depth of field. The depth of field is when a person in the foreground is in focus while the background is out of focus. When the aperture is “wide open” it allows the most amount of light. It also gives you shallow depth of field where the subject is in focus. When you close the aperture, you reduce the amount of light. This allows you to focus on something in particular. Everything else will be out of focus. The more extreme the aperture closure, the more extreme the depth of field. Of course, when your aperture closes you need to adjust the shutter speed and ISO to compensate. Again, it’s possible to really get into the weeds regarding camera tech and taking pictures here. Your Instagram camera will automatically control all of this. Just know you have the visual option of depth of field with such a feature. Instagram compresses pictures, and if you have a camera built within the last several years, it’s more than capable of retaining a mono photograph. Although it isn’t the most powerful camera on the list, the a6500 comes very close – and at a far more comfortable price than the a7 III! The 24.2 megapixel camera is a great selling point, but the truth is that this camera does everything well. It’s intuitive and powerful. It takes exhilarating action shots and beautiful stills. It has the most powerful autofocus of any camera I’ve ever seen. I could say a lot more, but a picture is worth a thousand words. So instead of rambling on, here is a small sampling of what the a6500 is capable of. The Panasonic Lumix is a great digital camera ideal for anyone with a modest budget who still wants to take great pictures. Although it is relatively inexpensive, it still offers a number of great features that make it especially attractive to budding photographers who don’t want to spend too much on an introductory camera. This camera is both compact and lightweight, making it easy and convenient to carry around, unlike some cameras of old. Some of the features on the camera are pretty awesome. Let’s start with the 16.84 megapixel camera. That captures an amazing level of detail and clarity that far surpasses any cell phone camera. The camera is also capable of capturing up to 40 minutes of continuous video footage. Although it shouldn’t be mistaken for a professional video camera, this can definitely take some interesting footage. You can set the camera to both automatic and intelligent ISO sensitivity, or you can customize it with almost ten different settings to conduct your own lighting experiments. When you want extreme photographs of you doing just about anything, the GoPro HERO 6 lineup of cameras is great. The beauty of these cameras is not only the simplicity of it. But that it is a really great camera as well. Or anything else, it’s all possible with GoPro HERO6 and the add-ons available. The add-ons for the GoPro line of cameras is really what makes it. You can safely secure it to the outside of your car for great camera angles. Or stick it to your motorcycle helmet. Or go shark tank diving with it. These are all things you can’t safely do with other cameras. This camera also takes it up from where previous GoPro cameras have been. First, you can capture in 4K, which is four times the resolution of HD. It even allows you to record at 60 frames per second (traditional movies record at 24 frames per second). Or, if you are interested in shooting in slow motion, you can record at 240 frames per second. This way, your slow motion will appear smooth, without any of the jittery, interlacing lines common with other slow-motion effects. Normally, with Instagram, you would upload from your phone. This GoPro HERO6, has a Wi-Fi feature, allowing you to transfer the files directly to your phone. Panasonic knows how to make a camera, I’ll give them that. Of course, they’ve had a lot of experience. Their Lumix DMC-GM5KK is another fine example of what a great camera can accomplish. Although similar in many ways to the GM1, it is a superior camera. You will notice the resolution is the same as the GM1 – 16 megapixels. It also uses the Micro Four Thirds mount and offers a number of ISO settings. There are also a great deal of shutter customization options, providing for endless opportunities for exciting and unique photographs. The GM5KK is capable of a great variety of shutter speeds. Shutter speeds as high as 1/16000 allow you to capture an imperceptibly small amount of time and capture it on camera, allowing you to witness in a photo what you could never observe with your own eyes. The shutter can also be slowed down to as much as 60 seconds, allowing you to capture in a single image a minute’s worth of activities, once again a feat no human eye can capture. When you want a powerful camera that is built into one of the most powerful mobile phones on the market, the Apple iPhone X is the device you need to consider. Yes, it is designed for if you work within the Apple ecosystem, but when you do, this is currently the cream of the crop when it comes to Apple products. However, in terms of just picture quality for a phone, few other mobile phones can compare with what the Apple iPhone X can do. This camera uses a wide-angle and telephoto lens, so you can switch between, depending on the kind of composition you’re interested in. You also don’t need to deal with transferring anything over to the phone. It’s all right there. Plus, with access to millions of apps on the App Store, there’s no shortage to third-party filters you can download. So if you’re on the market for a new phone, are in the Apple ecosystem, and want one of the best cameras on a phone anywhere, the Apple iPhone X is where it’s at. This camera proves the point-and-shoot camera is not dead. In fact, this point-and-shoot camera is more powerful than a number of DSLR cameras. It has the price tag of around an Apple iPhone X, so it is up there in cost. However, in terms of sheer picture quality, accurate color and ease of use, you’ll find few other cameras that come close to this. It doesn’t have a substantially large lens, as it only goes from an F2.8 to an F4.5. This means you won’t have much of a shift in depth of field. But in reality, most digital cameras rely on a digital zoom, which is the worst thing you can do to a picture. A digital zoom only zooms into the pixels, which causes a grainy appearance as an analog lens physically moves the glass. The camera is extremely fast. It takes a picture in 0.03 seconds. That’s as instant as you’re going to get. Take exciting aerial photos with the DJI Mavic Pro drone! Drones have become one of the most popular new purchases. I have a friend, in fact, who uses a drone to shoot real estate footage. While you may not use the DJI Mavic for this purpose, you may find that it takes your photography to a whole new level? Naturally, this drone is not going to offer the same level of photo control as a handheld camera. However, the drone can fly in the air for up to 27 minutes. It can fly up to 40 miles an hour and has a transmission range of over 4 miles. 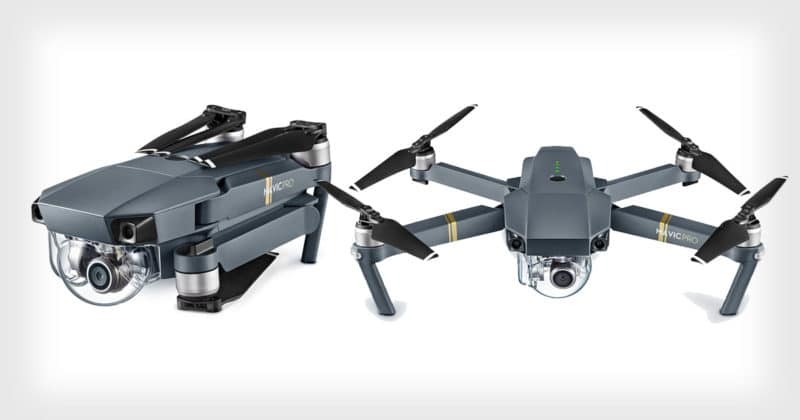 So whether you simply want to take a few overhead photos or want to shoot fifteen minutes of aerial footage in stunning 4K resolution, you can accomplish it with the DJI Mavic. Best of all, the Mavic is super compact, folding down to the size of a simple water bottle, making it easy to take the drone with you for exciting footage no matter where you are. 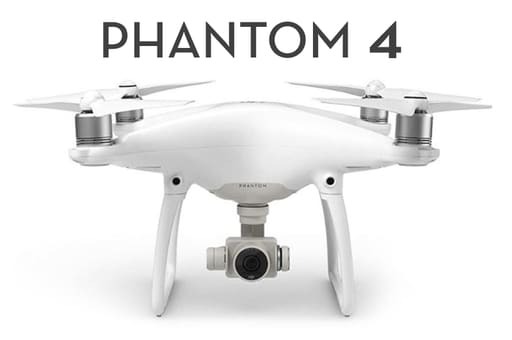 Just like the Mavic, the DJI Phantom 4 offers a new way to experience photography by providing amazing views and photos impossible with traditional cameras. The camera allows for 12.0 megapixel images or 4K video footage shooting at 30 fps. The Quadcopter is built with a satellite positioning system and a Vision Positioning System to make it easier to detect obstacles. The satellite positioning GPS allows you to track the drone at all times, and the built-in GPS allows it to autopilot its way back home. The drone can fly at speeds of up to 45 MPH for nearly half an hour, offering an incredible amount of time to gather footage you could have only ever dreamed of before. DJI also includes amazing software that makes editing your videos easy by adding music, dialogue, text and special effects to your film. This drone is awesome, and both the photos and the video footage it can take are out of this world. This compact Canon 80D model is on of the best bargains for the money. The 45-point autofocus makes it easier to take great photos by doing a lot of the intelligent thinking for you, bolstered by a stunning 24.2 megapixel camera that looks better than you’ve ever imagined. The viewfinder on this camera was one of my favorite features, because the viewfinder covers virtually 100% of what you will see in the image. This offers unprecedented control over your art, because it enables you to see what exactly will – and will not – be present in the shoot. This is backed up by shutter speeds of 1/8000, making it highly unlikely that a fluttering insect or falling leaf will ruin your perfect shot. The camera also benefits from highly adjustable aperture settings and ISO of up to 16000, making the camera very effective even in low-light scenarios. What makes this camera so amazing is that for the same price as the base camera, you can also buy the camera with a variety of accessories, including a travel bag, tripod, memory cards and others for no additional cost. Sony’s Alpha a6500 is one of the best digital cameras on the market. Don’t let its small size fool you, because there is a 24.2 megapixel camera lurking inside that frame. The camera is able to take pictures at a resolution of 6K. Of course, since there is no technology to support that, the images are sampled down to 4K resolution, but they maintain a greater fidelity to life than smaller cameras support. The built-in image stabilization compensates for blur more readily than any camera I’ve ever held. The viewfinder allows for live shooting of up to 8 fps, making it easier to track a moving object such as a butterfly or a gazelle. The a6500 matches the autofocus capacity of the Cybershot, honing in on a target in just 1/20th of a second! 415 points of focal plane phase detection cover 84% of the total image area, which improves the focus, helping to keep everything in view clearer and sharper than ever before. The one thing that disappointed me with this camera was the shutter speed. It goes as high as 1/4000 and as low as 30 seconds, both of which are quite good. But I tested other, cheaper cameras with a greater range than that, which is just a little disappointing for the a6500. The a7 lineup of Sony cameras took over for its popular Nex camera line. These cameras aim to offer DSLR quality without the mirrors. This gives you a smaller camera with exceptional power. You will need to manually transfer the files from your camera to a computer before uploading to Instagram, but you will have DSLR level photographs at a lower price, which is well worth the time it takes to upload. You also can capture both JPEG and RAW formats at the same time. It also allows you to swap out lenses. If you really want to take your picture taking potential to the next level and up your Instagram game without going full-on DSLR, the Sony a7 lineup is where it’s at. The major benefit to the Sony a7 III is its smaller size. It doesn’t have all the hefty bulk of the larger DSLR cameras. It also uses smaller lenses so these lenses are typically less expensive. All of this leads to you saving money while having a camera that produces the same heightened quality as the more expensive DSLR hardware. Do note that the lenses are slightly smaller than your standard Canon or Nikon DSLR lenses. Many of these can be fitted onto the a7 with an adapter, although some features might not work. Due to this, it’s better to go with specially crafted a7 lenses. If you had the Nex cameras those lenses will likely work just fine, although it’s best to check compatibility with the camera beforehand. You don’t need to rely on a phone to take your Instagram pictures. While Apple and other phone manufacturers such as Google and Samsung produce quality phones with solid cameras, there are plenty of other options out there. It really just comes down to what you’re interested in, how serious you are about taking your Instagram account to the next level, and how much money you want to put into it. What kind of camera do you use for Instagram? Do you use your phone or a stand-alone camera? Let us know!